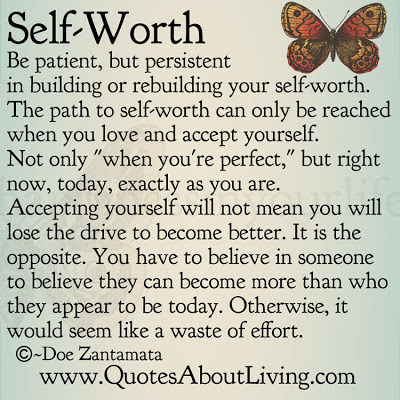 Be patient, but persistent in building or rebuilding your self-worth. 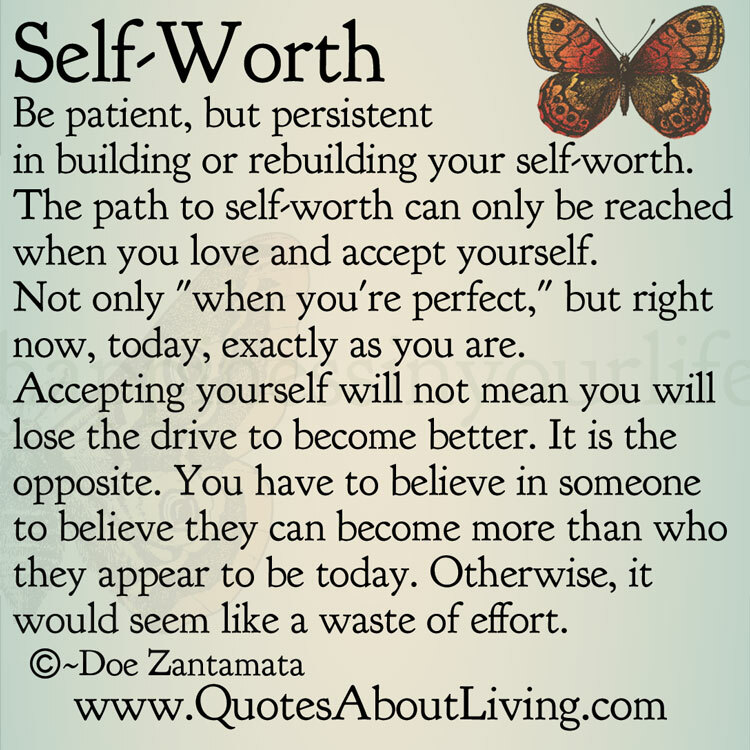 The path to self-worth can only be reached when you love and accept yourself. Not only "when you're perfect," but right now, today, exactly as you are. Accepting yourself will not mean you will lose the drive to become better. It is the opposite. You have to believe in someone to believe they can become more than who they appear to be today. Otherwise, it would seem like a waste of effort.